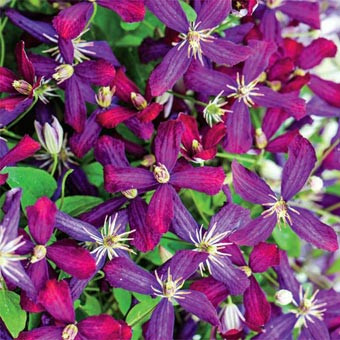 Sweet Summer Love Clematis: colorful, fragrant flowers. Oodles of small flowers grace this variety in summer time. Flowers are purple at the base, shading to red at the tips. Sweet Summer Love is fragrant!